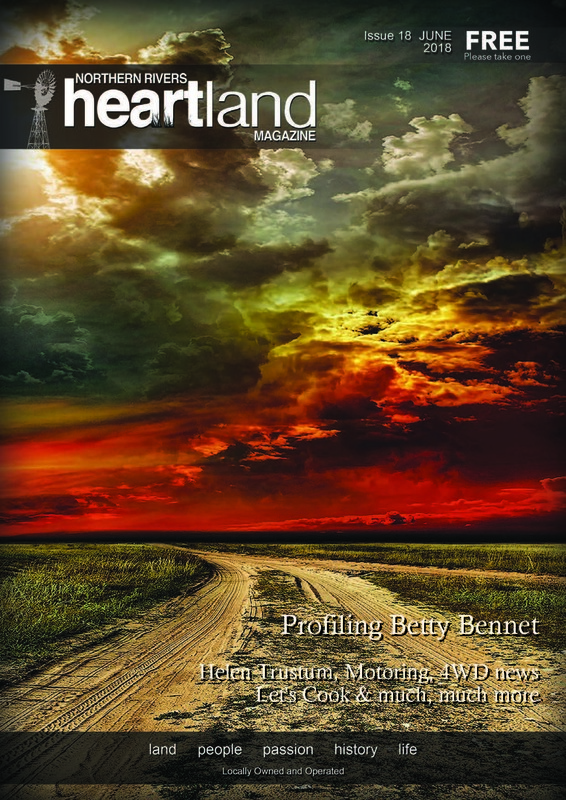 Heartland Magazine Issue 18 was released on June 14th, 2018. This issue has all your old favorites including Helen Trustums’ “Harold Brown of Tabulam”, Do you remember?, Let’s Cook, Save the Date and much, much more. This 44 page edition. We feature Primex Field Days 2018 and what Bruce has done for the community, we also feature the lovely Betty Bennett, we featured the second of the Ford Australia series in our Aussie Motoring, we cooked Spaghetti & Meat Balls in Herbed Tomato Sauce and Heartland Home made Doughnuts and much, much more..